Pakistan were poised to go 1-0 up in this two-match series inside three days as England suffered their latest top-order collapse. 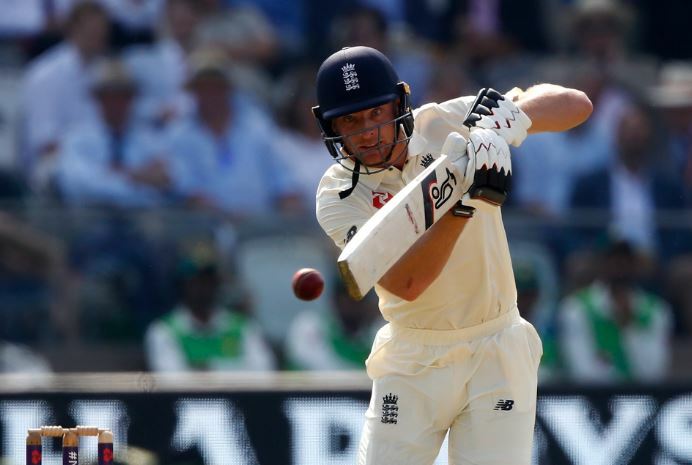 But Buttler (66 not out) and Test debutant Dominic Bess (55 not out), who came together with England still 69 runs behind at 110 for six, shared an unbroken century stand that took the hosts to a total of 235 in their second innings at stumps. England now lead by 56 runs, albeit they have just four wickets standing and with the new ball available to Pakistan early in Sunday's play. But at least they have a glimmer of hope, with Buttler and Bess batting through the evening session after England captain Joe Root's exit for 68 completed a woeful slump that saw four wickets lost for just 19 runs. "Of course there is (belief we can win)," said Buttler, who had been recalled for his first Test in 18 months following a stint in the Indian Premier League primarily to help England win games rather than first dig them out of trouble. "The atmosphere in the ground was great there at the end, and of course in the dressing room as well. "A fourth-innings score, chasing down a total, is never going to be easy -- if we can get our way up to a challenging total." Less than a fortnight ago, Pakistan collapsed to 14 for three chasing 160 before recovering to beat Test debutants Ireland by five wickets in Dublin. And in October, needing 136 to defeat Sri Lanka in Abu Dhabi, Pakistan were bowled out for 114. Buttler, however, reckoned England would need to set Pakistan a somewhat larger target to give themselves a chance of a come-from-behind win. "Tomorrow we need to make it as big as we can -- 150 would be great, (but) we'd probably be trying to think more like 200," he said. "I know that's a lot more runs, but 200 in the fourth innings will be tough. If it's 150, that's going to have to be enough." Although Buttler made his name at Somerset -- Bess's county club -- he never met the 20-year-old before leaving for Lancashire five years ago. "I haven't seen him bat much, but I've heard a lot about his batting from the guys at Somerset," he said. "He can obviously bat. It was a bit like Joe Root, some of those back-foot punches and cover-drives." It is only two years since Bess made his first-class debut, against Pakistan at Taunton, and Buttler was impressed by the way he had adjusted to the Test-match environment. "You certainly wouldn't think it's his first game," he said. "He's really taken to it. He's got a great character, and I think he really loves the competition." Buttler added: "He's got a lot of fight, and he was trying to show that -- and for me, being back in the side, I was showing how much it means to be out there." With two days left, Pakistan are still very much on top but they are likely to be a batsman down after Babar Azam suffered a broken forearm when hit just above the left wrist while facing Ben Stokes on Friday. "We won't be happy to chase anything over 150," said Pakistan batsman Asad Shafiq. "I don't think we did anything wrong. "We should give credit to the English batsmen, especially the debutant," he added.